Here is a Fanuc subprogram example which shows, how cnc machinists can make their cnc programs easier to write and maintain by useing sub-programming method. 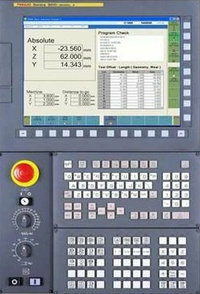 Sub-programming is a way in which cnc machinists can call other cnc programs stored in cnc machines from their programs (called as main-programs). 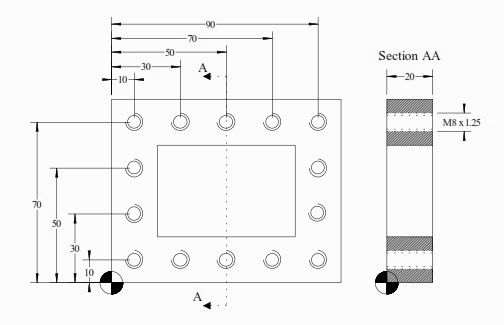 Read article about How to do Fanuc Sub Programming. This Sub-programming process makes it easier for cnc programmers/machinists to keep their cnc programs small by dividing programs into small pieces of repeatable useful code. cnc machinist want to drill some holes and then he want to tap the same holes. The simplest way to program can be read here G81 Drilling Cycle G84 Tapping Cycle CNC Program Example. 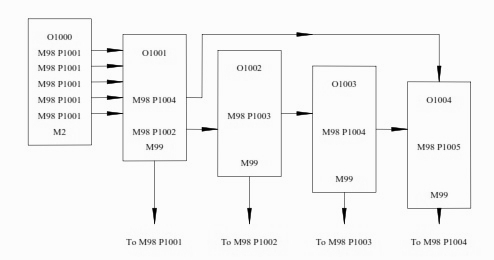 Below is the same program example but this time we are using Sub-programming technique.